Create a fashion storm with your electric style with the Grenson® Canvas Low Top Sneaker. Slip-on design with pull tab in back. Smooth leather and textile lining. Lightly padded leather and textile insole with embossed logo. Durable and stacked synthetic outsole. Product measurements were taken using size UK 11, width M. Please note that measurements may vary by size. 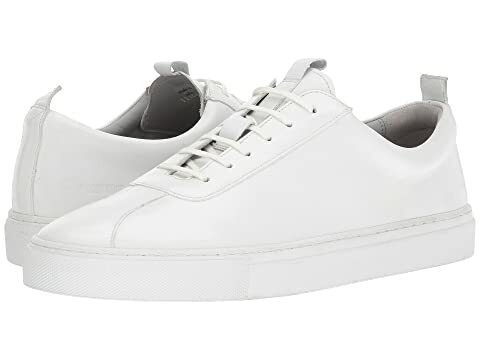 We can't currently find any similar items for the Calf Low Top Sneaker by Grenson. Sorry!